YJB: In arguing that the family as a social institution is achieved through intercorporeal co-ordination among family members in their lived and embodied everyday practice, you draw on data from middle-class US families and middle-class Swedish families. I was wondering about your motivation underlying the selection of these two populations. While you touch upon cultural difference when discussing general metadiscourses, you don’t seem to distinguish interactional data of each country throughout the analysis. If you are more concerned with the universal aspect of haptic sociality in family life, why did you choose the US and Sweden and what occurred as unexpected or interesting discoveries for you in examining these two countries? MHG and AC: We will briefly outline the history of the project of Center for Everyday Lives of Families. Kathleen E. Christensen, Program director of the Workplace, Work Force and Working Families program funded by the Alfred P. Sloan Foundation, contacted Elinor Ochs to see if she would be interested in establishing a research group to study how middle class American families balance work and family. Elinor established an interdisciplinary group at UCLA and recommended that research collaborators be contacted at two other sites (Sweden and Italy), where there was also an established interest in documenting everyday family life through video recording. Karin Aronsson in Sweden and Clotilde Pontecorvo in Italy became partners in the endeavor. For the US sample some parents were first-generation Latin American, European, or Asian immigrants. Two of the thirty-two US families were headed by gay parents. Both parents in the US sample worked in professions ranging from dentistry, law, and medicine to education, social work, administration, and film dubbing. We were interested in discovering characteristic features of family life as fully embodied, that is, as corporeal, and our focus and approach was inductive. 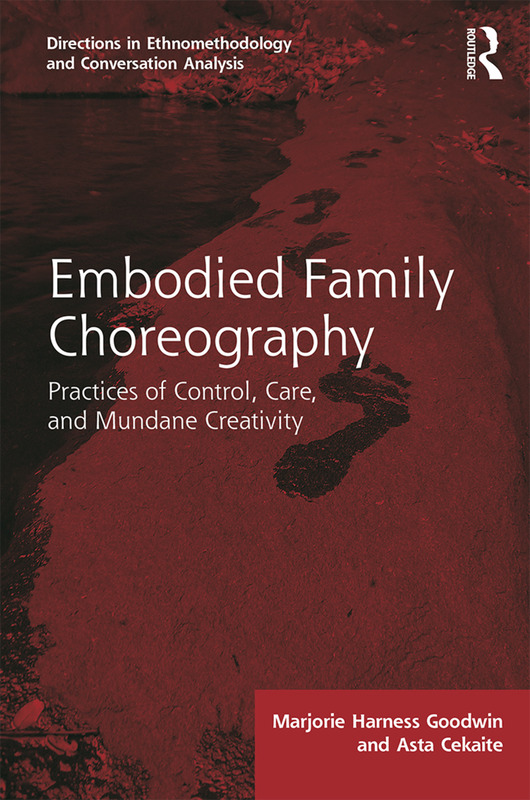 As part of the inductive, discovery-based approach we outlined the recurrent practices of embodied family choreography in both cultural contexts – practices that in some ways are similar and in some ways vary. Portrayal of discovered similarities can provide an inspiring way of finding the common features of human sociality — the interest put forward by anthropologists such as Charles Goodwin (see for instance his book Co-operative Action, 2018) and Webb Keane on ethics and morality in Ethical Life, 2016. For instance, the interactional organization of hugs, as well as haptic shepherding, is found not only across our two data sets, but has been since documented in various studies on the use of touch in other cultural and institutional contexts as well. Concerning the differences, as mentioned above, we did not engage in an a priori comparative approach, but culturally specific features are pointed in our conclusion. There we discuss such issues as how children in Swedish middle class families are fostered into moral accountability through activity contracts, and how the directive sequences in Swedish data are formulated in a rather robust manner – starting with initial interrogatives and only later, upon noncompliance, are transformed into haptic shepherding. Such organization can be interpreted in terms of the child-orientedness of Swedish society, where children’s agency (and the possibility of making their own choices) is foregrounded. However, we can also see that compliance needs some persuasion, and embodied practices. While haptic shepherding is found in American directive sequences as well, the directive trajectories are not organized in the same way. YJB: The attention of the book to simultaneous mutual monitoring as well as to sequential trajectories is compelling in studying emergent meaning-making among family members. At the same time, you argue that embodied adult-children and sibling interaction constitute family habitus (pp. 4, 250) and family ethos (pp. 19, 256) through inculcating socially accountable ways of bodily techniques (pp. 13, 258). I appreciate your point that emergent phenomenological experience is situated in and contributes to the broader social order. Would you elaborate more on your ideas about the investigation of everyday interactional processes of ethos and habitus? MHG and AC: Shaping children as particular kinds of social inhabitants and actors in the family, that is as members who are responsible and accountable, involves “getting things done.” Directives provide the central locus for constituting local social order in the midst of managing or orchestrating routine tasks in the family (hygiene, cleaning, getting dressed, homework). Different choices among various directive and other communicative practices create different types of social actors, social organization and alignments. Negotiations in response to parental directives can take different forms and display a range of alternative sequencing patterns, resulting from factors such as the type of directive given, accounts or reasons given for the directive, and next moves to the directive, as well as the facing formations of participants and stances or affective alignments that participants maintain vis-à-vis one another. As often the activities parents propose are ones that children like to postpone, examination of directive/response trajectories allows us to see how children agentively and creatively orient themselves to a project, stalling and otherwise attempting to derail it, and parents’ responses to such maneuvers. Different types of moral actors are co-constructed through displays of reluctance and resistance, in contrast to willingness to carry out routine courses of action. YJB: The book draws on video data in order to explore visual, aural, and haptic aspects of family interaction, and I liked the inclusion of drawings of the scenes and spectrograms of pitch and voice quality. For instance, it was fascinating to see the co-occurrence between hug and creaky voice (p. 150), and format tying not only in terms of morphosyntactic forms (p. 202) but also in terms of pitch (p. 88). While the family interaction as well as fieldwork experience is multisensory, the manifestation of data in a written form primarily relies on the visual channel. I was wondering what was particularly challenging during your research given the limitation on the data exposition. MHG and AC: The process of analysis requires to attend to both the verbal modality, where various sensorial aspects (participants’ sensations) can be verbalized and articulated (‘your breath stinks’) and the visual. However, the interpretation of the emergent and detailed character of sensorial corporeal aspects of family choreography are also made possible by numerous and repeated viewings of video recordings. Interpretation of course also involves our own previous corporeal experiences. Visual representations helped us to provide a richer portrayal of embodied and spatial features of family encounters, and using many pictures which are integrated in the transcript (in the places where they occur in an interactional situation) is clearly an important way of presenting the reader with at least visual representations of haptic encounters. Taste smell are, however, not accessible. YJB: While the book argues that family identity is not given but created through “doing family” (p. 257), the families examined are basically composed of adult parents and young children. It seems as if a certain ideological family image is already shared among western countries, and I was wondering why you chose this family type and this phase of family life in looking into the tension between control and care as well as that between ordinary routine and creative exploration. In other words, what kind of social conditions and cultural ideologies of family are represented in your study and why it was beneficial to focus on these families? MHG and AC: Our multi-disciplinary project focused on how dual earner middle class families manage the complexities of daily life, balancing parenting and work in the US and in sister projects in Europe. The psychologists in the project wanted to investigate a specific age group with at least two children. They wanted at one child to be at least eight years old. The US study included families of a range of ethnicities and two families were headed by gay dad couples. In Sweden, the absolute majority of families are full-time dual-earner families, and this cultural context provides well-established cultural ideologies of equal parenting responsibilities, an institutionalized early childhood care system, and a strong focus on children’s agentive participatory rights in arenas of social life, including family. In the US, there is greater diversity in how parenting is achieved; some families make use of directive trajectories which display hierarchy and authoritative control by parents, while others verge on being permissive, with children being more in control. Simultaneously, our study shows the complexity of daily life in family and the amount of work and negotiations – with multiple embodied resources – in handling everyday, very mundane tasks. YJB: The book illustrates how children are socialized to moral personhood through collaborative embodied interaction among family members in a choreographed or orchestrated manner. While the practitioners’ ideological emphasis on individualism and child-centeredness may encourage child agency, it seems to me as if the book’s theoretical approach may as well contribute to the depiction of children’s agentive role. Everyone participates in an on-going interaction as equal participants through mutual monitoring and mutual meaning-making, and can affect the unfolding of interactional trajectories. I wonder whether you think the mutual monitoring is something everyone does or everyone has to do. In other words, what kind of moral person is projected by the theoretical framework itself through the ways of public display of data analysis? MGH and AC: Goffman (1972:63) defined the social situation as “an environment of mutual monitoring possibilities, anywhere within which an individual will find himself accessible to the naked senses of all others who are ‘present,’ and who find themselves accessible to him.” In other words he was concerned with general principles of any encounter: the interdependent organization of mutual intersecting consciousnesses, inhabiting unfolding time together with the lived experiential world. Mutual monitoring is distinctive from collaboration or being accountable. As we state early on in the book (p. 19), our concern is with examining family life and children and parents as “mutual apprentices” in routine embodied practices through which they act in co-operation with one another, building the social worlds they inhabit. We examine the active contributions of both children and parents to practices of control, caring and mundane creativity in specific social contexts and conditions for development. We find that parents are learning from their children as much as children learn from parents. Diego Arispe-Bazan: In between each chapter you feature ethnographic reflections that focus on the context of the city of Saipina (where you conducted your research), the people you spent time with there, including some with whom you are very close. Why did you choose this format to highlight those reflections, separate from the chapters themselves? 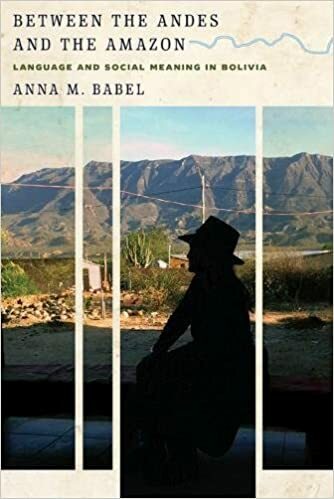 Anna Babel: The ethnographic interludes were bits of ethnographic writing that didn’t seem to fit with the themes I covered in the chapters, yet were essential to the way that I wanted to tell my story. I felt it was important to highlight the personal side of conducting research with people I have close relationships with and know very well. (This is a theoretical positioning that has drawn a lot of heat from reviewers over the years, so I know it’s an important one to keep hammering away at!) This is also a way of pointing to my consultants’ own stories and biographies and, as I say in the book, how these ideas that seem so very abstract can have quite real consequences for real-life people. One of the reviewers encouraged me to think of them as a story within a story, connecting with each other like a bridge or a web that draws the chapters together. I hope that is something that I managed to do. Also, I realized after I published the book that Bret Gustafson’s New Languages of the State uses a very similar structure, so perhaps there was some unconscious imitation going on there as well. more about this interplay between structure and its (re)articulation in interaction? Anna Babel: Yes! Exactly what you said, social structures are both out there and apparently fixed, and also constantly in play and in interaction. It’s pretty neat that we, as human beings, can do this. People seem more invested in the contrasts or divisions between categories than they are in the nitty-gritty of exactly what belongs where, so sometimes things get classified in surprising ways. Rosalind Howard talks about this in her wonderful article “Pachamama is a Spanish word.” In the case of Saipina, my field site, people use loanwords that come from Quechua, Aymara, and Guaraní, but they’re often coded as local/traditional/authentic rather than as indigenous per se. The range of choices and interpretations of cooking and styles of dress is rather dizzying; but I never get tired of hearing people fight over whether plates like tojorí (cooked corn in milk, highland pronunciation) or tujuré (cooked corn in milk, lowland pronunciation) are authentically local or not. The fact that Saipina has this “in-between” positioning makes it the perfect place to negotiate category boundaries and what, exactly, gets included where. The main point that I make in the book is that no category exists in a vacuum; rather, it’s the contrasts and relationships between categories that people use to make meaning. Diego Arispe-Bazan: Saipina’s in-between status, geographically and otherwise, allows for encounters between Bolivians who identify (and are identified) in various ways: cambas, collas, MASistas, Autónomos, and so on. In Chapter 5, you give examples of explicit discussions of indigeneity and belonging to indigenous groups, but throughout you give us rich accounts of how the sign-markers I mention in the previous question position individuals differently. How might this approach to notions of indigeneity help us rethink extant notions of race in the region? this really clearly in the stories of the young people who have migrated to urban centers and find themselves struggling to figure out where they belong. They’re Spanish speakers who probably wouldn’t identify as indigenous, yet they are racialized and treated as bumpkins in the city because of the way they talk, dress, eat, and so on. positioning – political, styles of dress, and so on. People use different combinations of signs to position themselves from moment to moment or from year to year, depending on what their goals are and what they think they can get away with. I guess what I’m trying to say, as above, is that race is never just about race, just as language is never just about language. It’s all about comparing how everything fits together, and what stands out. Diego Arispe-Bazan: You bring in lyrics from popular songs as well as visuals from their music videos to pair with your ethnographic data at different points in the book. How did you come across them? Did your interlocutors point them out to you or were they playing on the radio, in your media sphere? I was intrigued about the possible linkages between these instances of entextualization of particular gender and language ideologies and what kind of reception they received in Saipina. Anna Babel: Nick Emlen pointed out in his review of the book in Anthropological Linguistics that I also use a lot of jokes as data in my book! The songs on the radio, the jokes, and other bits of popular culture that I draw on were very much in circulation in Saipina during my research. Back before cell phones were widespread, everyone listened to the radio nonstop, and there was really only one station that got good reception across town, so we all listened to the same songs all day long. People thought the Patas Kjarkas song (about a young woman who migrates to the city), which I discuss in Chapter 8, was pretty hilarious. It really touched something about the zeitgeist of Saipina at that time. Honestly, people love to laugh, and they often embed elements of social and political satire into their jokes. The other two songs and the music videos were things that I came across later, when people started posting on social media, Facebook and YouTube. My perception is that the vastly greater access to those “new” media really fractured the unity of the experience that I observed in pre-Internet Saipina. But of course it brought new possibilities with it, too; interacting with people long-distance via WhatsApp, sharing memes, Facebook pages, and so on. One of my younger consultants was showing me a series of videos on YouTube that he had downloaded to his cell phone, back when the Internet was really slow, and I asked him: “How long did it take you to download these?” “Oh, not long,” he answered, “Maybe an hour or so” — for a three-minute video! Anyway, it just goes to show that people are still sharing and circulating bits of popular culture, just in different ways. which circulating metapragmatic evaluations of sign-markers of belonging in general (since you show that political affiliation is imbricated in other aspects of identity) become enregistered over time? Anna Babel: That’s a tough question that deserves a multi-part answer. Regarding politics, I’ve always been fascinated by stories of the hacienda days, when my older consultants lived in conditions of essentially forced labor, with no rights to land ownership. Land ownership in particular has been a really difficult issue; the 1952 Agricultural Reform Act is still being fought out in the area around Saipina. Only a few years ago a group of agricultural workers brought a lawsuit against one of the large landowners that they eventually won. This is a very touchy subject; even people who are generally in favor of social reform don’t like the idea that it could be their land that is taken away from them. Another touchy subject is drug circulation and processing; that’s been an economic reality in the Saipina area for a good thirty to forty years, on and off, and obviously it’s closely connected to Bolivian politics. So I think there’s not only political violence in the past, but the legacy of past policies in the present that affects people. people who are living and experiencing micro-shifts in social positioning on a daily or a weekly basis, where things seem more gradual and less noticeable. 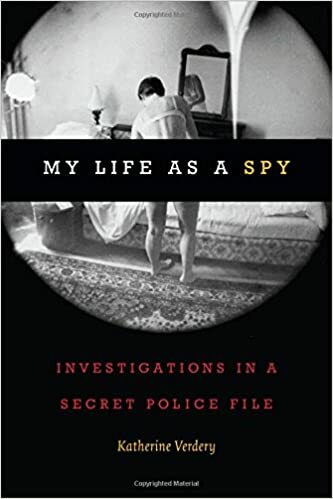 Shannon Ward: Most chapters of your book illustrated the enactment of “aged agency” through narratives that follow key events in the lives of your interlocutors, written in an accessible style and in English translation. What challenges did you face in translating your fieldnotes and transcriptions into this format? Elise Berman: This is a great question. It was both hard and easy. I wanted to write a book that people would want to read, that would make the people I had met come alive, even while being theoretically rich. And so I did some research. As I was writing Talking Like Children, I happened upon a book called Storycraft by Jack Hart that discusses how to write narrative non-fiction. It occurred to me, then, that anthropological data is full of stories, and that ethnographies can be, and the best are, narrative non-fiction. Similarly, while teaching at UNCC the books that work best in my classes are the ones that have a strong narrative arch, characters that the students can latch on to and follow. But the structure of narrative non-fiction that Hart describes is quite different than the way I was writing in graduate school (and I ended up wishing that I had taken a narrative non-fiction class). So, I completely rewrote my dissertation, not only to change the theory but also to change my style. One of the main points that struck me from Hart’s book was that when telling a narrative, you don’t want to give away the end in the beginning. So, for instance, in Chapter 1 when I talk about the birth of Pinla’s child, I do not initially tell the reader who got the child in the end. That is the climax, and the desire to know the result of these negotiations is what pulls readers through the text. But in the type of expository writing that I have learned, you are supposed to put the thesis in the beginning! So what I tried to do was put the theoretical thesis of each chapter in the beginning, but create narrative tension by starting with a hook and letting the story develop through the chapter without giving the ending away. I also tried to follow the other elements of Hart’s structure—beginning with action, intertwining narrative with expository information, and ending with a climax. This organization of each chapter took quite a bit of rethinking, reworking, and learning about narrative non-fiction. But the other part of your question, about translating the fieldnotes and transcripts themselves into the dialogue, that was easy. A quote from a transcript can be written as dialogue, especially since I would have to translate it from Marshallese anyway for a transcript. What I did, instead of including symbols to indicate things like pauses or pitch, was provide that information as a narrative description. I actually found it much easier to explain this way than through symbols in a transcript. Moreover, writing this way pushed me to look closer at my videos. For narrative reasons, I wanted to be able to talk about where Rōka was looking or what Jackie did with her hand. To do that, I had to dig deeper into the recordings, and I frequently discovered relevant elements of the videos that I had left out in my previous version of the transcript. Shannon Ward: Throughout the book, you compared age to gender, in order to theorize age as constructed and shifting. You also assert that “age is power.” Could you say more about how age intersects with gender to produce power in this ethnographic context? Relatedly, how are gender differences acquired alongside age differences, especially in childhood but also across the lifecycle? Elise Berman: Gender differences are definitely acquired alongside age differences. The best example of this is in Chapter 6, where I talk about how Jackie has lost her former ability to run errands to men, since as she gets older she becomes subject to the “shyness” that often leads young women and men to talk in gender segregated groups. In contrast, however, Sisina, the child, is relatively bold. Her boldness is a part of learning to be not only a child who is different from an adult, but also a girl who is different from women. There are also various other aspects of gender that change across the life course that I do not discuss in the book. For example, in old age women seem to get bold once again and start playing a larger clowning role in festivals, whereas the younger women tend to be a little shyer. This is one of the advantages, in fact, of focusing on age as a social construction. When one does, it highlights how all other categories—race, gender, class—dynamically change across the life course. So, focusing on age, in a way that I suggest has been largely (although not entirely) neglected in the social sciences, helps arguments that gender or race are not static or set in stone. It also changes the questions one might ask about the socialization of gender or race. Rather than being socialized into gender roles, people are socialized into age specific gendered modes of interaction and feeling that are constantly changing as people move across the life course. Shannon Ward: Your book includes several stories of children who circulate between adopted families and birth families, amidst extensive controversy and discussions of adults’ morality. In these stories, you show how people, including children, use their age to affect the outcome of these exchanges. How do these Marshallese practices of adoption provide new perspectives on agency in the exchange of persons? Elise Berman: This is another great question, and it really relates to the different forms of aged agency that exist in the RMI as a whole. Ultimately it is very hard to say no to an elder who requests something, including a child. But children and young adults have several different forms of agency, and specifically the agency of movement. Many children in the RMI have some amount of choice about where, and with whom, they live. In theory they are allowed to decide and can live with almost any relative. In practice, of course, it is much more complicated—they may not have transportation to a different relative (if that relative is on a different island), the different relative may not actually want them to stay, the parent they are leaving may be particularly powerful. Nonetheless, children’s freedom of movement changes the pattern of adoption as a whole, since adoptive children can and do move back and forth between multiple houses, including between what we would call their birth and adoptive parents. So, one part of childcare in the RMI is keeping your children happy, because if they aren’t they could (in theory) live elsewhere. People talked to me explicitly about this idea, that keeping your children with you requires keeping them happy—and that while this is particularly true of adoptive children it applies to others as well. Children’s movement is possible partly because of their age. They are not yet tied to a particular household that they care for. Just as children can move between households, young adults can as well. One way to get away from a request for a child that you don’t want to fulfill is to move away until the child is older (one mother told me she did this: she didn’t want to give her kid away to an elder relative so when she was pregnant she moved to a different atoll). In turn, young adults also have a variety of choices available to them that are not as readily available to people in the US. Adoption is not a last resort in the RMI: it is a reasonable and expected option for single women as well as partnered ones. So I know of several women who told me that they adopted a child before they were partnered and before they had children of their own because they wanted a child. Now, this might happen in the US as well, but it is still something of an anomaly for a single woman to adopt a child. In turn, particularly given the common pattern of grandparents adopting the firstborn grandchildren, youth who have children before they are ready have a number of options open to them, options that might be offered rather than having to be sought out. Moreover, people change partners quite frequently early in relationships (when people are koba, together, but haven’t taken the step of becoming married), and this isn’t really seen as something that will negatively affect the children. Thus, women can adopt when single, and if they have a child without a partner it is not a big deal. At the same time, however, these large families and these forms of sharing children have their own tensions, which I tried to illuminate in Chapter 1. In addition, and this is something that I didn’t write about in the book, when combined with high poverty rates this system is ripe for exploitation. There is a huge crisis of American adoptions of Marshallese children, where the ability of powerful people (including foreigners) to ask for things and get them, as well as these malleable households that shift and adapt, has led to an exorbitant number of American adoptions of Marshallese children. Shannon Ward: Chapter 5, in particular, addresses issues of morality and age. Marshallese ideologies assert that children refrain from lying despite risks to their own or others’ reputations, unlike adults who lie to avoid shame and protect their reputations. In other words, this ideology holds that children are able to tell the truth, especially about others’ negative actions, due to their position as nonmoral persons. 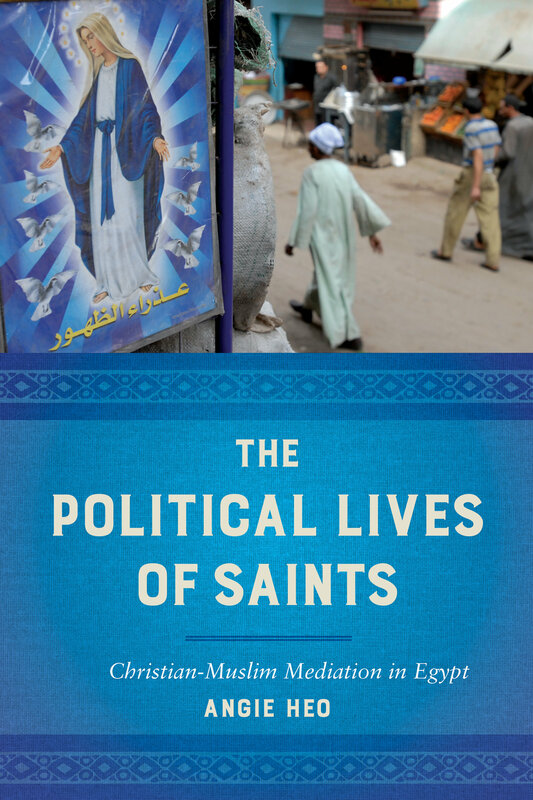 Throughout the book, you also mention the importance of Christianity. Other ethnographic literature about the Pacific region has shown how Christianity is shaping notions of truth, responsibility, and evidence related to morality. Could you say more about how these ideologies of children’s truthfulness and nonmorality relate to Christianity in this ethnographic context? Elise Berman: It is not that the children refrain from lying despite risks to their own reputation, but rather that there are no risks to children’s reputations (or so adults think; children have a different view). Since, according to adults, children are too young to have reputations, any words that they tell are not real lies. Thus the ideology is not so much that children do not tell untruths (everyone agrees that they do), but rather they do not and have no motive to tell real lies that negatively affect adults. If they do, those words are not their own and they are not responsible for them. This view of children’s words as not their own and, therefore, not lies even when they are false does seem to be quite different from the ideology of language explicitly expressed in church settings, in which a much greater concern is placed on words themselves as opposed to the effect of words. In line with the literature you reference, Christianity does seem to promote a different view of words and responsibility. But this ideology, as elsewhere in the Pacific, also seems to vary with denomination. My host family was Būrotijen, which is the United Church of Christ, the original denomination of the missionaries who came in the 1800s. So, I spent most of my time at the Būrotijen church. But there are many other newer denominations. When I visited two evangelical churches—Assembly of God and Looking for Jesus—the sermon’s rhetoric was much more focused on how God tells the truth and one must always tell the truth. Since almost everyone I interacted with outside of church was Būrotijen, I can’t say for sure how this perhaps greater emphasis on words’ referential accuracy within these other churches affects behavior outside of the church. Ilana Gershon: You describe how, when you explained your previous work on regimented jazz instruction to someone also attending a business innovation workshop, he asked you how you managed to get metaphorically from a famous jazz club in New York City, the Village Vanguard, to these workshops. You point out that the similar tensions in both sites exist because people are using rule-bound and structured pedagogical techniques which are meant to lead to creative improvisation that in earlier decades was believed to emerge more organically. How do you think the business innovation workshops you attended differed from the jazz classes in the ways rules and creativity were understood? 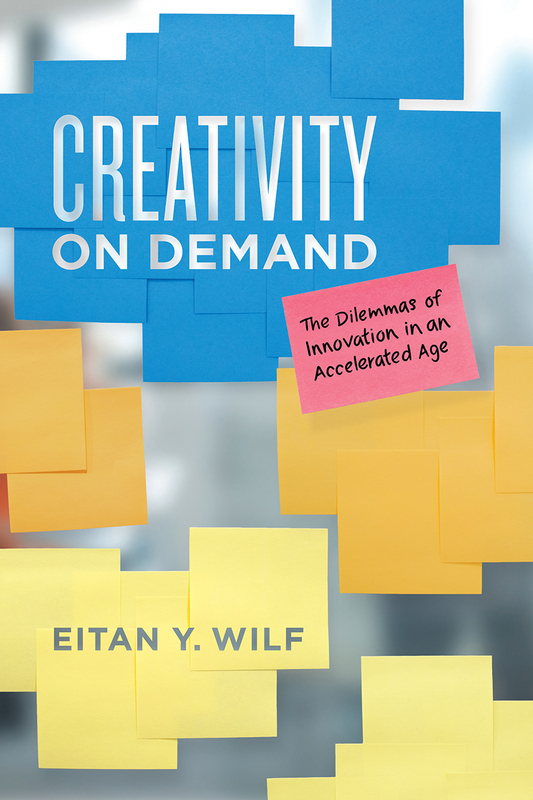 Eitan Wilf: My interlocutors in academic jazz programs and business innovation workshops did not approach rules for generating creative results in the same way due to the historical specificity of each context. Most of my interlocutors in academic jazz programs—students, teachers, and administrators, as well as the wider public—understood the academic jazz program as a pale shadow of the vibrant urban jazz scenes of the mid-20th century, which gave rise to the masterpieces of this genre. The apprenticeship system, in which neophyte musicians learn from more experienced musicians in live performance settings, was the prevalent form of jazz training in those scenes. With the gradual disappearance of clubs and their replacement with academic programs, jazz training became more standardized, abstract, and text-mediated. Due to this history, my interlocutors in academic jazz programs viewed the structured pedagogical techniques taught in such programs as always already problematic, a form of training that indexed the music’s and their own fall from grace and the realization that, at best, such techniques can give them a glimpse of what genuine creativity in jazz is all about. In contrast, my interlocutors in business innovation workshops did not have the idea that they were born after a past golden age of creativity in the business world in relation to which their own practice could be negatively compared. Because creativity has never been a defining dimension of their ideal-typical practice, they approached the structured techniques for generating creative results that they were taught in innovation workshops with much more enthusiasm, hope, and curiosity. If they experienced any ambivalence toward those techniques, it was due to the fact that in western modernity in general creativity and rules are understood to be antithetical to one another. Joshua Bell: Your book is a manifesto of sorts of what the digital – as a relatively new domain – does for more traditional objects in museums, how the digital as a different constitution of relations is and isn’t unique, what the digital does (and doesn’t do) to our understanding of heritage, and how by engaging with these relations and configurations we can begin to see museums anew. Could you comment on what prompted you to write this book? Haidy Geismar: Over the course of my research career, since starting in around 2000, almost all the practices I have been involved with in museums have migrated into the digital: collecting and archiving, discussions about property rights, community and artist interventions, and new forms of display, are all increasingly situated within digital media. I was struck however by the lack of continuity between previous practices and these new digital projects. There seemed to be an assumption that the digital provided “a way out”, particularly for the complex legacy of the ethnographic collection. My own empirical observations however, were showing how many digital projects were in fact reproducing concepts and issues that already existed. The case of digital repatriation is a great example, which you explored in a great series of workshops that you and Kim Christen convened at the Smithsonian which was published in the collection “After the Return”. Digital repatriation burst out of the reproductive affordances of digital media and was quickly embraced as a way for museums to redeem themselves by sharing collections and supposedly giving up sovereignty or ownership over indigenous cultures. As the papers in your collection explore, this promise was not always borne out in practice. Instead the digital came to afford a continued negotiation between source communities and museums/archives, and it became yet another site of contested sovereignty, in which the history of collecting, and of colonialism, could not be forgotten. I wanted to write a book that tracked between the digital and the analogue and argued for a ethnographic perspective on the digital that placed it in a context beyond its own. Ilana Gershon: When did the argument for Counterproductive come to you in the process of researching and writing? Melissa Gregg: After I came up with the title, because I didn’t want to change it! The title helped me pursue two related ideas. First, that productivity is a misplaced goal in information jobs, since work is about the mind as much as the hand. Second, that for all the talk of freedom and flexibility in the modern office, we do not appear to be thriving with the newfound ability to manage ourselves. This is unfinished business from my last book, Work’s Intimacy. I wanted to understand the origins for the types of productivity pressures expressed by the workers I had interviewed at the dawn of the smartphone era. Back then, we had no language to explain the simultaneous sense of compulsion and pleasure that came with online connectivity. The vocabulary of labor seemed totally inadequate. 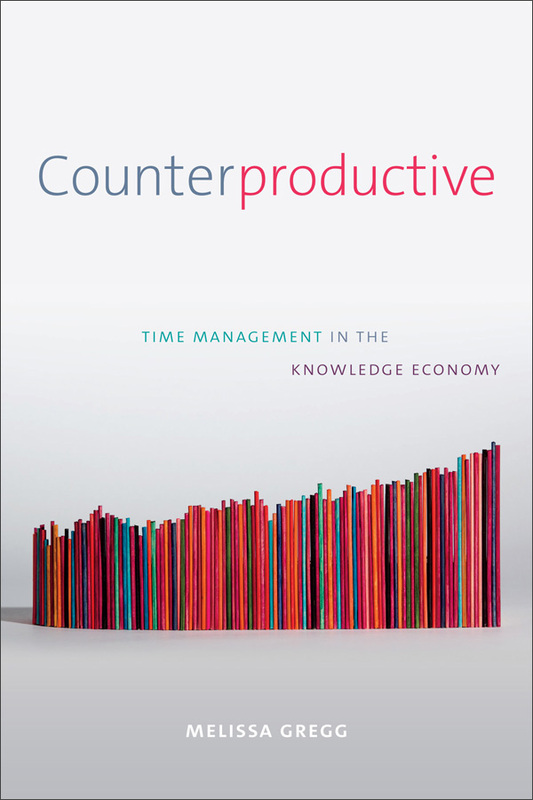 I had always been fascinated by self-help genres for business, so taking an auto-ethnographic approach to time management texts and tools soon revealed obvious consistencies in genre and form despite the technologies of the period. From there, the components of an analysis came together. The rituals and refrains of charismatic gurus could be placed in the broader history of religious thinking embedded in capitalism. I also came to appreciate that much bigger ideas – like life priorities and mortality – were at stake in ostensibly utilitarian “Getting Things Done” principles, just as they were underpinning many of the actions of my earlier research participants. Angela VandenBroek: The Rise of Nerd Politics is a captivating description and analysis of “techpol nerds” and their “clamping” (computing, law, art, media, and politics) skills. You have described the techpol nerds as related to but not the same as other kinds of nerd categories studied by anthropologists (such as Kelty and Coleman). What led you to this analytic decision and why do you think it is important for anthropology now? John Postill: That’s right. While Chris Kelty and Gabriella Coleman – whose pioneering work has had a major influence on mine – and other scholars have focused on computer geeks and hackers, I include other specialists under my category of “nerd politics” – a term I borrowed from the Canadian sci-fi author Cory Doctorow. The people I’m calling “techno-political nerds”, or simply “techpol nerds”, are a highly diverse lot. To be sure, among their ranks we find geeks and hackers, but we also find tech journalists, digital artists, copyright lawyers, Pirate politicians, and even anthropologists. What all these specialists have in common is a passionate devotion to working at the intersection of technology and politics, a pro-democracy stance, a profound dislike of authoritarianism, and the belief that the fate of the internet and of democracy are inextricably entwined. They translate this passion into a huge variety of initiatives in areas such as open data activism, digital rights, popular mobilisation, and electoral politics. It follows that I regard hacker politics to be a subclass of nerd, or “clamper”, politics. As I argue in Chapter 2, not all forms of knowledge or skillsets are born equal in the world of nerd politics. Five forms in particular (computing, law, art, media and politics, or “clamp” for short) take pride of place within this world. Even accomplished computer nerds like the NSA whistle-blower Edward Snowden must rely on the expertise of others to pursue their political goals. Snowden gathered around him a team of Guardian journalists, lawyers and tech people as well as a documentary filmmaker. Yet we tend to overlook this interdisciplinary teamwork in our fascination with this supposedly lone wolf and his technological wizardry. I arrived at this analytic decision in a roundabout way, as tends to be the case in anthropology. I started fieldwork in Barcelona, Spain, in the summer of 2010 with the intention of studying whether social media were making any substantial difference to the work of activists in that part of the world. After surveying the terrain, I became interested in the small but rambunctious digital rights scene and soon realised that it wasn’t just geeks and hackers who were active within it. In 2014 and 2015 I did comparative research on similar scenes in Indonesia, as well as secondary research on other countries. Everywhere I looked I found heterogeneous teams of nerds – not just techies – “clamping up” on corruption, fraud, online censorship, and other perceived malaises of the digital era. Angela VandenBroek: For this book you drew on a wide range of techpol nerds, including those in Spain, Indonesia, Iceland, Brazil, Tunisia, Taiwan, and the United States. But the 15M movement in Spain figured prominently throughout the text. What about this particular example made it such a fruitful resource for you analytically, especially in contrast to more popularly covered subjects, such as the Arab Spring uprisings or the Occupy movement? John Postill: There was an element of sheer luck in my decision to work in Spain. In 2009, when I was still based in the UK, a friend in London sent me a link to an advert in The Economist. The Open University of Catalonia were offering a one-year fellowship to study social media and activism in Barcelona. I applied and got it. It helped that I was brought up in Spain and that my previous research was on internet activism (albeit in a very different setting: suburban Malaysia). Another stroke of luck was that in early 2011 the digital rights nerds I was working with decided to switch from internet politics to politics writ large when they helped to launch the 15M (indignados) movement, which called for “real democracy now” and led directly to the Occupy movement. But the story doesn’t end here, as the very same Barcelona nerds, an activist group called Xnet, later launched a data activism campaign to put on trial those behind the collapse of one of Spain’s major banks, Bankia. They later wrote and performed a widely acclaimed “data theatre” play on the Bankia case, launched a nerdy political party named Partido X, and even got embroiled in the fraught data politics of the Catalan independence referendum of 2017. By retracing Xnet’s nomadic trajectory I was able to map the world of nerd politics in Spain and discern four main spaces, or “subworlds”, within it: digital rights, data activism, social protest and formal politics. I then tested this four-cornered map in those other countries that you mention and, to my delight, it worked there, too. This enabled me to make comparisons across political cultures. For instance, while Spain’s nerds migrated en masse in 2011 from the space of digital rights to that of social protest to launch the 15M movement, their Brazilian counterparts remained fixated on a single digital-rights issue even at the height of the 2013 popular mobilisations. This paid off eventually as far as digital rights in Brazil are concerned, but arguably there was a missed opportunity for Brazilian nerds to help create something like Spain’s 15M movement and its formal political offshoots. Spain has turned out to be an unlikely global leader in nerd politics, a massive laboratory of techno-politics and democracy. Today scores of town halls across Spain, including in major cities like Madrid and Barcelona, are in the hands of indignados, many of them steeped in nerd culture. Moreover, a party that borrowed heavily from Xnet’s techno-political tools, namely Podemos, is now Spain’s third political force and the main ally of the ruling Socialists. Angela VandenBroek: You have artfully debunked many perceptions of nerds in The Rise of Nerd Politics that are common both in popular media and within anthropology and related fields, including their politics, their demographics and geographic locations, their collaborations and organization, and their utopian and techno-solutionist inclinations. How do you think these prior perceptions may have hindered our understanding of techpol nerds and their movements? And, what do you think are the most important misconceptions you have identified for us to pay attention to going forward? John Postill: The prior perceptions you refer to – about nerds being typically white, male, anglophone, geeky, techno-solutionist, and so on – originate largely in US popular culture and news media but are influential worldwide. The two paradigmatic examples are Julian Assange and Edward Snowden. These perceptions have clouded our understanding of the world of nerd politics in a number of ways, including a lack of attention to techpol nerds’ pragmatism; to their ethno-national, religious and gendered diversity; to their penchant for combining teamwork and crowdwork; to the fact that many of them work across civil society, government and the private sector divides, and so on. Out of these misconceptions I would single out the popular fixation with hackers and their tech wizardry to the detriment of nerds from non-tech backgrounds (for example, journalism, art, humanities, politics) who are equally important to the rise of nerd politics and its increasing centrality to our political and cultural lives. Don’t get me wrong: Assange, Snowden and other leading computer nerds have played hugely important roles, but so have lesser known individuals and groups around the globe (who may or may not possess advanced IT skills). Angela VandenBroek: You end your book by saying, “For social scientists like me, and many readers of this book, there is also the issue of the current dominance of five kinds of knowledge (computing, law, art, media and politics) in this social world, which suggests that there is room for greater anthropological and sociological expertise in the nerd politics repertoire” (p. 254). How do you think anthropological knowledge could sit practically within the existing clamping suite? What are the tensions anthropologists may face in this space and how do you think we might overcome them through our work? John Postill: Yes, that’s the book’s cliffhanger, a key unanswered question! One significant contribution that anthropologists studying this topic could make to nerd politics is to continue to ask questions about who these techpol nerds (think they) are, what they have done so far, and with what actual and potential consequences. Whatever else we’re interested in, we anthropologists are always deeply interested in people, especially in our research participants. We are also interested, of course, in processes, systems, technologies, networks (whatever these are), actions and practices, but more than anything else we study people and their social relations, which these days are often digitally mediated. Another potential contribution could be to interrogate the ontological status of some of the nerds’ favourite sociological notions. Do these notions have an empirical basis or are they simply cherished ideals and/or useful fictions? For example, when my research participants – some of them fellow researchers from other academic fields – get excited about the power of connected multitudes or horizontal networks to bring about political change, I am among those whose job it is to sound a note of caution. What exactly is a horizontal network? Has anyone ever seen one? If so, where and when? By the same token, a team is a more tangible social entity than a so-called network, and yet the notion of team is conspicuously absent from many of the nerd narratives. These are the kinds of questions and blind spots that anthropologists are well placed to identify as the research and writing progresses. It follows that we should go about this task diplomatically (after all, we don’t necessarily want to antagonise people!). Beyond these epistemological concerns, there is also the question of health and safety. As the world becomes more unruly, polarised, and unpredictable, anthropologists and their research participants working on nerd politics – and related topics – face greater legal and physical risks. One urgent task for anthropologists is to go beyond our liberal comfort zones and help bridge the current ideological rift between pro-democracy progressives and conservatives so that, together, we can take on the extremists and autocrats. We also need many more part-nerdships, that is, political initiatives that bring together nerds and non-nerds fighting for the social and economic rights of all citizens, including their digital rights – regardless of class, creed, or skin colour.